If you've ever been dragged into a craft store you'll know that—for whatever reason—scrapbooking is a booming business. And Casio has decided it wants a piece of that glitter-covered pie with the introduction of a printer called the Pomrie that can actually churn out custom rubber stamps. Using bundled software crafters can choose designs and patterns from an included collection, but are also able to make their own custom stamps using photographs, messages, and even hand-drawn sketches. 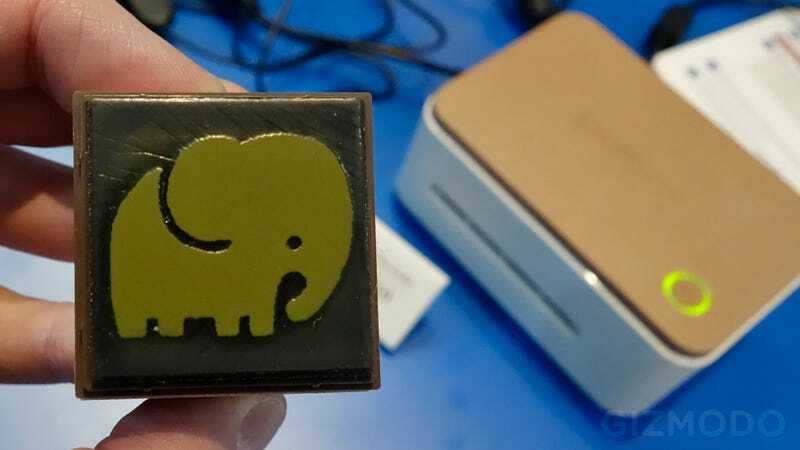 The results are then sent to the Pomrie thermal printer which uses special paper inserts that react to the heat, creating 3D reliefs of the design that can then be inked and stamped onto paper.